I recently got an email about a new website whose vision touches on my romantic side. Our Wedding Story Nigeria is aimed at giving everyone a chance to tell their love stories, share pictures and videos with no holds barred. The new website hopes to connect with every young person who wants to share their wedding story with millions of other people. There are currently two stories up on the site now as follows. 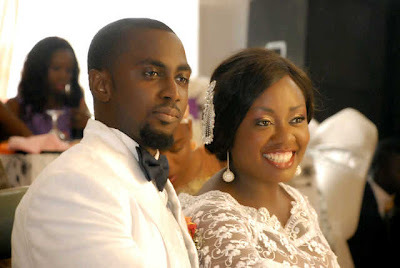 According to Damilola - "I met Kunle at a bachelor’s eve of a friend. He happened to be the one who drove to the venue of the party. We chatted a couple of times and he kept me company. The attraction for me towards him was totally different. I noticed he was very religious person and I liked that. Kunle has a merry soul; he always tries to make people happy because he is filled with so much happiness. Though my impression of him was that he was quite talkative, I liked him." Babatunde met his wife Temitope in a business forum on a blackberry group and that was how it all started. Attraction from him towards her grew as the he was under continuous attacks whenever he shared his opinion in the group. Nevertheless, it grew to what turned out to be a wonderful union.